Liquitex Professional Paint Markers are an outstanding range of professional water-based acrylic markers for artists. With 50 different colours that are all lightfast and permanent, Liquitex Professional Paint Markers offer the widest selection of brilliant colors with precision nibs for ultimate control. The paint from each of the markers has a satin finish. The Fine Liquitex paint markers have a 2mm chisel nib (line width 2-4mm); this chisel shape provides the flexibility to achieve multiple line thicknesses. High quality replaceable nibs are available here to ensure continued precision control on application. 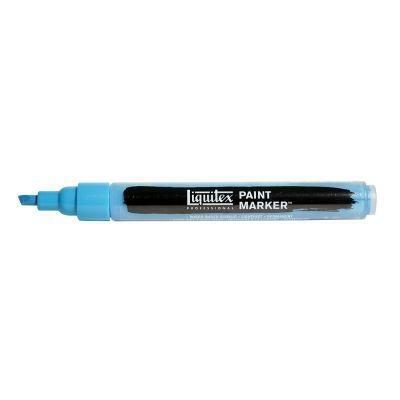 A set of 6 Fine Liquitex Markers is available here. A Wide nibbed variant of this pen is also available here.